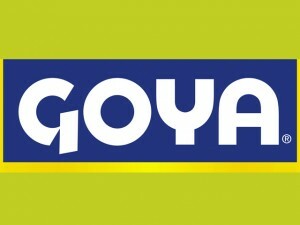 Goya Foods is a Hispanic-owned food company based in the United States. It is also considered one of the largest Hispanic-food companies in the country. Goya Foods was founded by the Unanue family, one of the richest families in the United States. Don Prudencio and wife, Carolina, started the business as a storefront in New York, in the area of Lower Manhattan. Don Prudencio got the name “Goya” by buying it from a Moroccan company engaged in producing sardines. The couple’s business focused on local families that were also of Spanish heritage, selling Spanish food like olive oil, olives and sardines. The founders believed that there was a market for Latino foods that are fresh-tasting and are of good quality. Thus, the founders continued to persevere in providing their customers with high-quality food products that are distinctively Latino. Over the years, the small storefront evolved to become a leading company in the production of Latin-American food products. Its operations have also expanded from distributing its products only in the United States to distributing its products worldwide. In 1992, the company focused on producing products to be distributed to both the culinary market and mainstream market. In 2005, more than 400 new products were introduced by the company to the United States market. With this addition, Goya’s products totaled to over 1,500, making the company’s position in the industry of Latin-American Foods more solid. To keep up with the company’s growth, new facilities were added and existing ones were improved. In 2006, Goya was ranked number 355 on the list of America’s largest companies that are privately owned. Currently, Goya’s product line varies from condiments, to beverages, to frozen food products, to pantry items. The company has manufacturing facilities and distribution centers in different countries such as Puerto Rico, Spain. Dominican Republic and USA. To further strengthen its commitment to its customers, Goya has created its own website, goya.com. This company website aims to provide its customers with a more personalized experience through original Latino recipes that are great-tasting. The website also encourages visitors to join the ‘La Gran Familia Goya,’ where members can receive electronic news, the company’s electronic store and a number of recipes for great-tasting Hispanic dishes, fun prizes and product announcements.